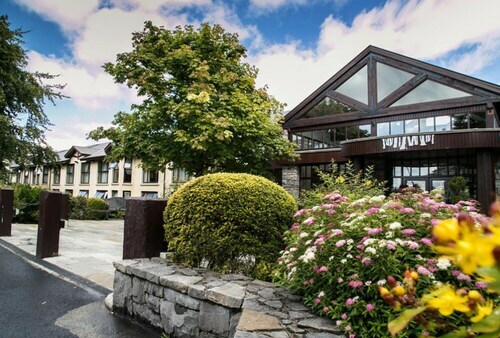 Situated in Westport, this spa hotel is 0.1 mi (0.1 km) from Clew Bay and within 3 miles (5 km) of Westport House and Clew Bay Archaeological Trailhead. Westport Golf Club is 2.7 mi (4.3 km) away. Westport Station is 19 minutes by foot. 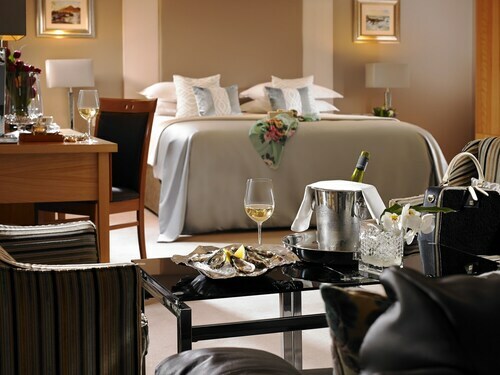 Situated in Westport, this hotel is within a 15-minute walk of Clew Bay and Westport House. Clew Bay Archaeological Trailhead and Westport Golf Club are also within 3 miles (5 km). Westport Station is 15 minutes by foot. 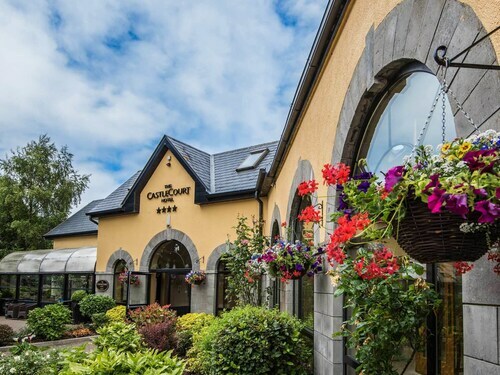 Located in the centre of Westport, this family-friendly hotel is within a 15-minute walk of Clew Bay and Clew Bay Archaeological Trailhead. 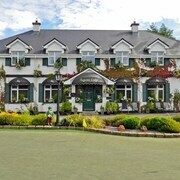 Westport House and Westport Golf Club are also within 3 miles (5 km). Westport Station is 29 minutes by foot. 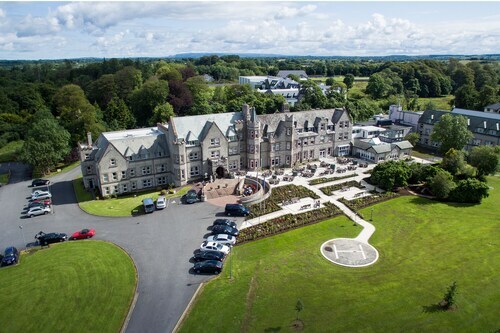 Situated in Westport, this spa hotel is within 1 mile (2 km) of Clew Bay and Westport House. Clew Bay Archaeological Trailhead and Westport Golf Club are also within 3 miles (5 km). Westport Station is 13 minutes by foot. 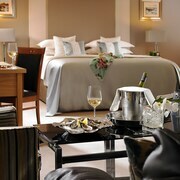 This family-friendly Westport hotel is located near the beach, within a 15-minute walk of Clew Bay and Westport House. Clew Bay Archaeological Trailhead and Westport Golf Club are also within 3 miles (5 km). Westport Station is 14 minutes by foot. 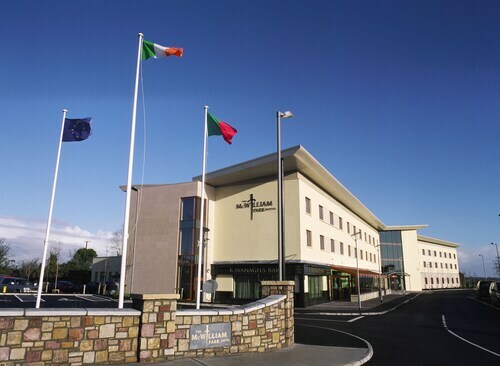 This family-friendly Westport hotel is located on the waterfront, within a 10-minute walk of Clew Bay and Clew Bay Archaeological Trailhead. Westport House is 1.5 mi (2.5 km) away. 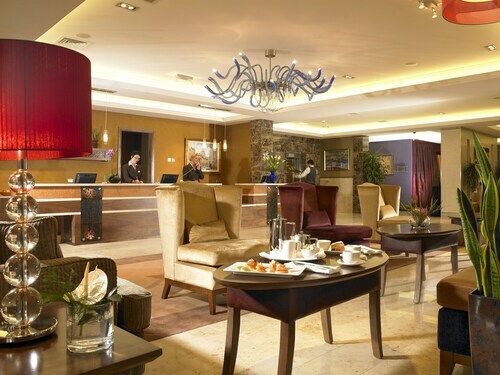 Situated in Westport, this hotel is within 1 mile (2 km) of Clew Bay and Westport House. Clew Bay Archaeological Trailhead and Westport Golf Club are also within 3 miles (5 km). Westport Station is 16 minutes by foot. Heading to Westport? 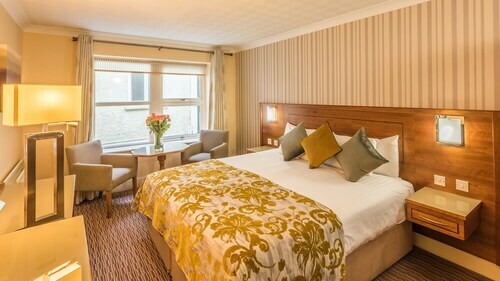 The big question is where you’ll be staying on your exciting city break. By using ebookers, the whole process becomes easy, as our search tool will present you with the best Westport hotels in a matter of moments. 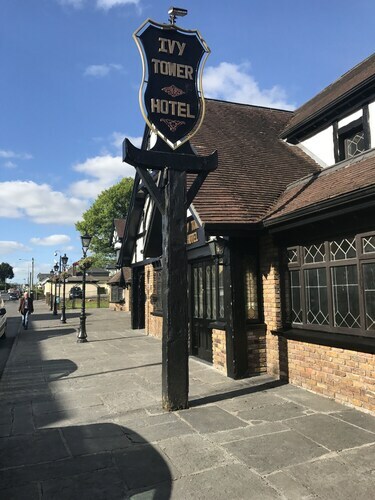 As well as being able to browse the full list, you can also see where the hotels are on a map of the city, and compare where they are in relation to the most interesting attractions. If there are certain places you definitely want to be close to, you can filter your search for hotels that sit just minutes away. To make life easier, our detailed hotel descriptions clearly lay out each property’s amenities and services, so you’ll know exactly want to expect. 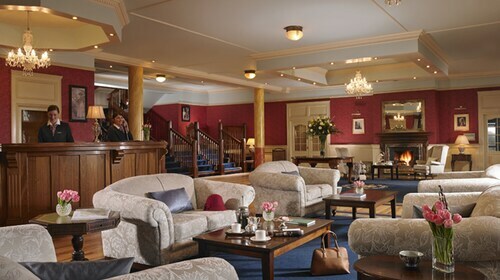 Finding the perfect accommodation is one thing, but what about the actual journey to your hotel in Westport? Once again, ebookers comes in handy, as you’ll be able to seek out flights to Westport, and see exactly which carriers and routes are available for your preferred travel times. You can then compare the constantly updated prices to be sure of the best deal possible. That’s not all. By checking out our car hire deals, you can also arrange to have your own set of wheels awaiting your arrival. This means an easy trip to the hotel, and also the freedom to explore beyond the city limits and see some of the nearby towns and rustic areas, as a refreshing contrast to the urban playground. Urban adventurers have plenty to discover in Westport, and you can get some quick inspiration on ebookers. 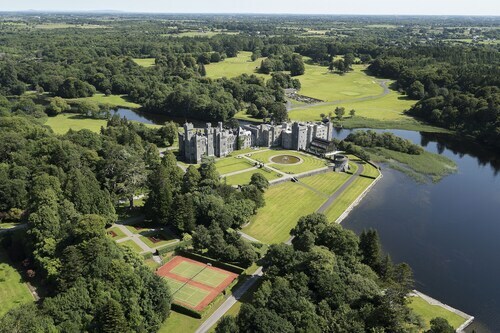 Just head to our Things to Do tool and take in the array of attractions and landmarks which lie just moments away from your Westport hotel. 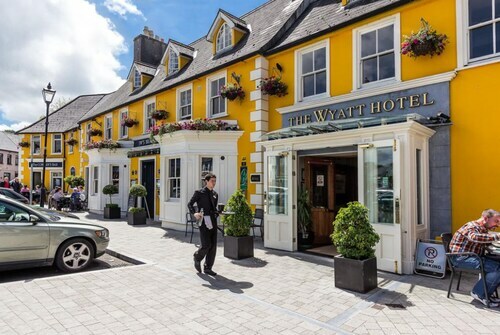 Whether you want to have a leisurely wander through the most popular districts of the city, or want to home in on cultural hotspots, we’ll give you some great ideas that should take your stay in Westport to the next level. I can’t praise this hotel and it’s staff enough! I brought my mother for an overnight stay as a Mother’s Day present. The one night, two day visit left us feeling as relaxed as we would after a week’s holiday. I had booked a two hour treatment for us both in the Spa which was AMAZING! Fantastic and genuine staff who made you feel special and completely cared for. The Spa itself is beautiful with stunning views, gorgeous facilities and an excellent range of high quality products. I’m dying to go back! The best Spa I’ve been to in a long time. Certainly the best Spa staff I’ve ever encountered. Warm, professional and extremely well trained. I like that they were highly competent but not snooty. In the past, when I’ve gone to a high end spa I’ve found the staff to be snobbish and as a result I’ve been irritated, felt patronised and left feeli. Not so here. These women are special. As for the food at the castle! Wow! We had dinner and breakfast in the George V. The fine dining experience was perfect. The food was delicious and beautiful. A feat for the eyes as well as the palate. Once again, the staff were faultless. They were warm, professional and just the right level of attentiveness is given. Breakfast was relaxed in this beautiful dining room with a wide of fresh, scrumptious produce from the buffet and tantalising offerings from the menu. My only criticism would be the cappuccino which was weak and tasteless which was surprising because they make perfect espresso. Very Family friendly. Accommodating for babies and children. Lovely spot. Would recommend for anyone looking to stay in Westport. Lovely location, super room but although dining room staff very pleasant I was very surprised at lack of knowledge relating to gluten or other items on dinner menu. Unacceptable at this level of hotel when in a small cafe in Achill the wait staff were totally aware and clear about the menu. stunning location in a mountain and river location. Perfect getaway from modern life - just be warned no mobile phone signal, TV and poor wifi. But that is not a bad thing for chilling out. plenty of physical activities available.